Transitions can be tricky if everything isn’t organized prior to the switch. Once everything is lined up, though, things can run smoothly and slide right into place. Warehouses must run off efficiency and organization. Items need to be placed and then documented so their location can be traced at a later date or time. The flow of goods through the supply chain is instrumental. Visibility of this data is crucial to the core of any business, meaning that any gap in that visibility can affect the bottom line. Transitioning to a 3PL (third party logistics) service is one way to expedite services and grow your business. Listed below are ways that 3PL can benefit your business as well as methods that will make this transition simple and effective. What is 3PL and how can it benefit my organization? 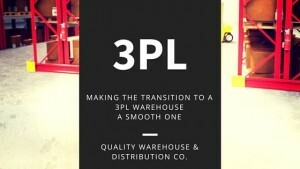 As previously stated, 3PL stands for third party logistics, which are providers of outsourced logistics services. These services could involve anything to do with the management of how resources are transported to the areas where they are required. Outsourcing to third party logistics providers can provide many benefits for a strong and growing business. These providers have expertise on all necessary operational tasks such as hiring warehouse workers, maintaining equipment, paying rent, and keeping track of products. In many cases, 3PL’s can complete tasks faster, cheaper, and much more efficiently than most could in their company warehouses. In the most recent polls, 3PL’s have an 11% average logistics cost reduction, a 6% average of inventory cost reduction, and a 23% average fixed logistics cost reduction. In order to achieve this, the third party providers can address storage, transport, and handling needs on behalf of the client companies. Due to the fact that all operations are outsourced, there is no need for the client to own their own warehouse or transport facilities, which lower the amount of money necessary for the client’s business. 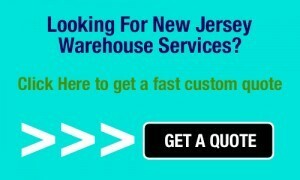 This can be a beneficial to a company with high variations in warehouse capacity or utilization. Make a list of all potential 3PL companies and determine their facility locations, ports, warehousing and distribution strengths and weaknesses, as well as their service areas in relation to your customer locations. This can help you eliminate companies which do not address your functional specifications. It’s also important to note if they can handle your type of product and manage it efficiently. Creating a special team of leaders and managers can ensure that your company continues to succeed. You will have more people looking over specs and monitoring everything about the processes, giving your company a better chance at success. Expediting tours of the facility and interviewing clients of a potential 3PL provider is an important step in creating a good working relationship with your 3PL. You can see how flexible their operations are, their determination, and work ethic in how they can best meet the needs of you and your company. Detailing all logistics outsourcing project implementation plans is very important to ensuring that everything runs smoothly during the merge. It requires cooperation from bother parties, translating ideas into actions. It is crucial that the 3PL be willing to customize their own project implementation plan to meet your needs. Once everything is done, it’s important that you maintain a good working relationship with your 3PL. You want to remain on top of the processes that they are taking over as well as ensure that your customers are receiving the level of service that you have previously provided to them. There needs to be a high level of trust between both parties in order to have a smooth and cohesive working relationship, which will ultimately make the merge that much simpler. The most important thing to remember about the transfer to a 3PL is that communication is key. Both parties need to be aware of the expectations placed on them and work towards a common goal of growing business and effectively delivering product to customers. Know who you are getting into business with and what values that particular logistics company has prior to engaging in business dealings with them. The worst outcome would be miscommunication and an unorganized 3PL that does nothing but hurt your business. If you are prepared and create a working relationship with your 3PL, then everything can run smoothly and fall into place. It won’t happen without the hard work and collaboration of both sets of teams, but if done right, utilizing a 3PL company could boost your sales and allow for time-saving and cost effective upgrades.